Baroque-age composer whose style was more akin to the Classical era. He was primarily remembered for his 555 keyboard sonatas and the operas he wrote for exiled Polish queen Marie Casimire's private theatre. He served as the composer and organist for Naples' royal chapel beginning in 1701. He took the opera "Irene" by Carlo Francesco Pollarolo and revised it in 1704 so it could be performed at Naples. He was a talented and renowned harpsichordist. 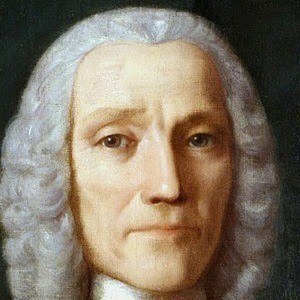 His father was the famed composer and teacher Alessandro Scarlatti. His older brother Pietro Filippo also gained fame as a musician. He, Bach, and George Frideric Handel were all born in the same year, 1685. He admired Handel's talents to the point of reverence.